2,3,4 are the same but 1st is higher with the Mivec box so the jump to 2nd is smaller. 5th is fractionally higher in the Mivec box so jump to fifth is bigger but coupled with the lower final drive its still a shorter gear overall. 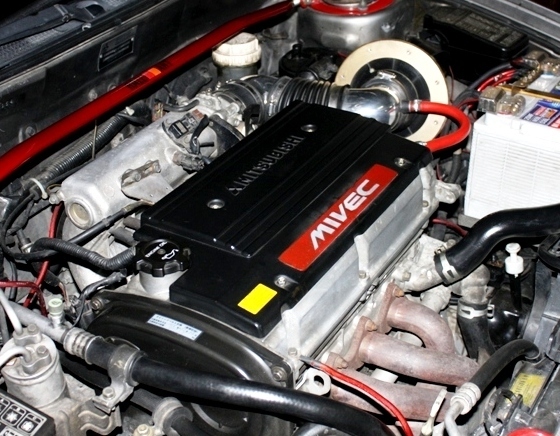 The closest possible box you can put together for a gen 1 from standard parts is from the cluster from a 1600 (non Mivec) or 1800 Gti (Either Proton or Mistubishi) and a final drive from a Mivec or a Spacestar. I don't have the figures to hand for the F5M42 box but the Mivec box is still the closest ratio'd box and has the lowest final drive of the F5M42 boxes fitted to Gen2s. The Gen2 Mivec box is actually closer than the Gen1 but the jump to fourth is bigger, this gives a nice close set of gears for spirited driving but still a decent 5th gear for cruising so economy is too highly effected. For track use etc it would be rare to need 5th anyway so its not really an issue. By using one of the 1300/1500 boxes people are misled into believing they are a closer box because the low first combined with a reasonably low final drive gives a very short overall first gear, so they get off the line very well but the jump to 2nd kills them especially with a Mivec which will fall out of Mivec when shifting from 1-2.